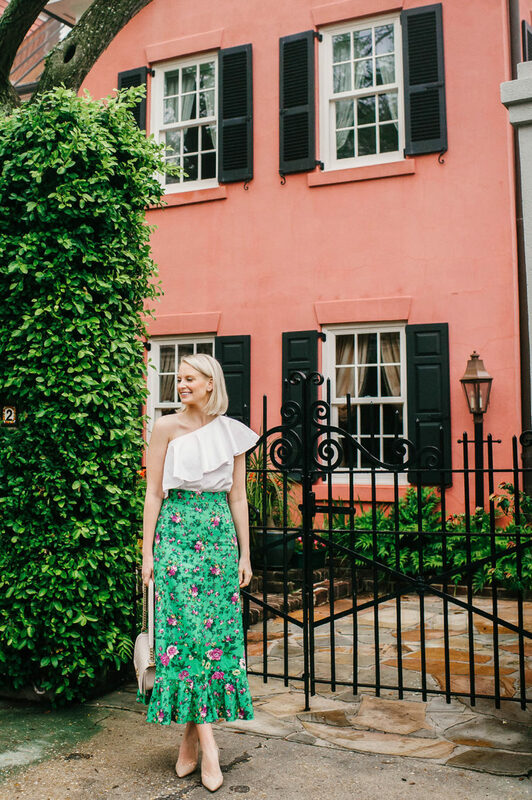 Merritt Beck is the voice behind The Style Scribe, a fashion and lifestyle blog that celebrates the best in style, travel, beauty and life’s other little luxuries. From healthy recipes and fitness updates to gift guides and tips on how to style pieces at any age, there’s a little something for everyone! Merritt was born and raised in Austin, Texas, but currently resides in Dallas. She attended Southern Methodist University as a Vocal-Performance-turned-Psychology major, but pursued marketing following graduation. Prior to running The Style Scribe full time, Merritt worked in digital marketing and social media for a number of companies in the industries of outsourcing, energy, PR, and most recently, technology. While she enjoyed working for others and always has loved being part of a team, Merritt was born to be an entrepreneur. If you know Merritt, you know she’s a natural self-starter; very ambitious, hard-working, a perfectionist and is always striving to be the best at whatever she’s doing. A few of Merritt’s passions outside of work include travel, music (singing and piano), photography, history, and cooking. She also loves anything in the true crime genre! From timeless wardrobe staples to trendy steals, Merritt’s refined taste and great eye for quality set her apart from the rest. She’s definitely about quality over quantity, and you’ll often see her wear and re-wear pieces she’s had for years. She’s a big believer in elevated basics and neutrals, but loves to throw in fun color and cool prints every now and then – that’s what a balanced wardrobe is all about! In addition to her daily outfits and collages, she shares the best of seasonal new arrivals each week in THE SHOP – it has become one of the site’s most popular features! Merritt is also the founder and one woman show of Sussex Style Watch and A Detailed Destination, websites dedicated to her two other loves: the royal family and international travel.